We clearly know that our reader, and most of the smartphone & tablet users love to fill up their devices with required applications, and wants to get up to date information about the upcoming applications. Many required applications on the App Store for the iPhone, iPad comes with a little price tag, but the developers of the applications are also familiar with their users and offer their applications sometimes on discounts, and free of the specific day. 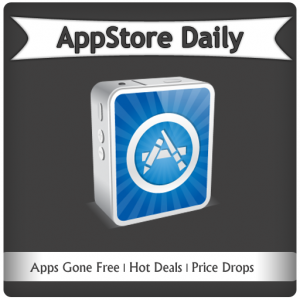 AppStore Daily – an ultimate source of App Store Updates! You can subscribe to us to get all the latest happenings and offers from the App Stores like the updates on the specific applications and games gone free for a specific time and date, exclusive price drop of popular & new applications. 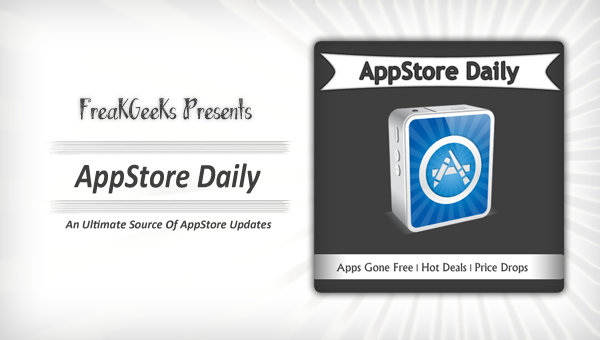 We have today finally able to cover our first AppStore Daily session. Here is archivme, an intuitive and innovative app to manage bills and personal documents. Other apps can scan documents, or manage household expenses. archivme does all but goes one step further with much more effectiveness. Battery Manager Pro is designed to help users make the most of their battery when power is at a premium. A must have. With ContactsXL manage your contacts, create groups, call your favorites, quickly send SMS and Email to groups, get notified when one of your contacts has a birthday, delete the duplicates from your address book, backup your contacts, call using the photo and T9 dialers, view your contacts pictures in the contact list. And even more! Sessions is the easiest and most intuitive way to track how you spend your time. Easily create counters to track the time spent on various projects. Sessions counts the total time and each “session” the project is running, so you know exactly when and how long you worked. Works on iPhone 4, iPhone 3Gs and iPod Touch (4th Gen.) with iOS 4. Simple, intuitive user interface operates in both portait and landscape modes. VDO DriveTime mobile provides you with an additional way to manage your vehicles and drivers from your iPhone. ValuePRO Mobile Edition for iPad lets existing ValuePRO users write valuation reports from the field.A “Free Preview” option is available for users without an existing ValuePRO account so that you can tour the application’s functionality. Looking to have the Daily Mail/Mail on Sunday print edition at your fingertips? Then look no further. This app allows you to browse our pages as printed for that day. BURP Sync Tablet software synchronizes your personal data, including contacts and calendar between your handset and BURP Sync Tablet system. You can also check and edit copied data online without your personal handset or computer. Live map meetings, parties and where you left the car. Mark your location, where that restaurant is, or in what direction your colleagues are moving. “Bluetooth Photo Transfer” allows quick and easy photo sharing with your friends. You can easily share photos from iPhone/iPod Touch/iPad. Audio Music Plan Player HD Lite is an powerful player which can plan audios playing, audios/musics queue play, and diverse audio properties setting features. Also play video as well. Speed dial button to e-mail “Home”. Easy to configure. Fast. Now you can download Music/Video/Document/Photo from you iPhone.First Time On Apple Store You Can Customize Your Download – Just add file extension which you want to download.Later on you can download any files with that extensions. eCounter emulates handheld and tabletop mechanical counters used by professionals. Ideal for single and multiple item and piece counting in applications including traffic analysis, attendance, sporting events, farming and ranching operations, inventory control, surveys, laboratory studies, production counting, etc. Visit the app website and download the user manual for a complete description of eCounter’s features. “mTasks – The Missing Tast List” is a powerful task manager, very easy to use and focused on your productivity. By creating this app I focused on the best things which I found in other task applications and I implemented them into mTasks. So mToTo is WITHOUT unnecessary things which only bring chaos and are not useful in apps of this type. I also added some new features that I have not found anywhere yet. By the time you are done reading this entire description, you may realize the power of this 1 secret…when you click “More” below you will find out exactly what it is. How about your condition rate now? You can check your condition Simply. You can choice the preferring color at present and touch. You can see condition point. This version give cure picture. This picture therapy cures by similar preferring color masterpiece. Cure sound is provided and the length of the sound depending on the status of the condition. Transfers is an App for downloading and managing files, which allows you to download files to your iPhone or iPod touch and view them on your device, as well as transferring them between your computer and your iOS device using iTunes. College Notebook by AppPen.com is a must have App if you are in College. This App allows you to type and handwrite your notes and also organize your note files in a way that makes sense to you. No more heavy backpacks to carry from building to building while on campus just your iPad, keyboard and stylus. ADR Production – Script Viewer and “on the fly” notes – the latest “smart” tool for DUBBING Performers and ADR Directors. USE your iPad like paper, just faster on the ADR stage. Introductory pricing of $1.99 for a limited time!Tired of rereading documents or not being able to find the notes you made in a pdf reader app? NoteAblePDF takes document reading to a whole new level allowing readers to easily highlight text based on topics they have defined and quickly make their own notes. iFlipTimer for iPad($2.99 ->$1.99)iFlipTimer is a big, advanced and colorful flip timer for your iPad. Enriched with tons of features iFlipTimer is stylish, powerful, easy to use and it looks great! With thousand of different uses it’s something always useful and handy to keep on your iPad. Checked puts all your lists at your fingertips.Designed for simplicity, versatility, and ease-of-use, Checked includes just the features you need to create reusable checklists, todo lists, shopping lists, priorities, and more. MobileLoan Calculator is a powerful loan calculator. MobileLoan allows you to calculate any of the following values (once the other numbers have been entered). Careful planning is fundamental to success of any business at any stage. My Business Plan Premium app is a key publication that encompasses a series of business, entrepreneurial, professional and educational reference tools that are designed as a companion tool for the professionals that need to have a comprehensive reference on the essential business, marketing and financial knowledge for creating an effective financial plan. The goal of this app is to assist you at any stage of the business marketing lifecycle by creating a clear and precise business plan. Before you go onto report or disgrace any of this content must check the date of publishing date of the AppStore Daily post. We are present here with open hearts to listen your comments and thoughts regarding our this new section. AppStore Daily Episode 4: Password Saver, iTranslator, Lunar Racing, Much More!